Looking for a place to stay on Airbnb and can’t find what you are looking for? Didn’t have a good experience or just don’t want to see the host in his underwear in the morning? Or wondering what are accommodation sites like Airbnb? Well, we have you covered with the exhaustive list of alternative sites to Airbnb and Airbnb competitors where you can find places to stay anywhere in the world. Check out these sites like Airbnb below and be sure to let us know of any others in the comments. Questions Answered in Article: What sites are similar to Airbnb? What are Airbnb alternatives? What are Airbnb’s competitors? What are accommodation sites like Airbnb? What are booking sites like Airbnb? A newer competitor in the rent by owner and short-term rental space, Booking.com (part of the Priceline Group.) is ahead of the curve with its traveler friendly user interface and instantly bookable inventory (can book it just like a hotel). It states that it has over 1 Million hotels/rentals with 108+ Million reviews. As the largest accommodation booking site in the world, Booking.com tends to have traveller friendly cancelation policies, which make it great for travelers that need flexibility. Currently they don’t charge the user a fee for booking like most other sites. Their rental inventory in the past has predominantly been in Europe but they are making great strides in the US and Asia-Pacific markets as well as the rest of the world. These rentals tend to be professional managed and therefore rarely have a host onsite, which alleviates a lot of the problems of staying at an Airbnb. The largest provider of vacation rentals on the list, HomeAway has over 1,000,000 vacation rentals, apartments, cabins and cottages. It has world wide inventory and runs numerous brands including: VRBO, Vacationrentals.com, BedandBreakfast.com, Travelmob (Asia), Homelidays (France), OwnersDirect (UK), Abritel (France), Stayz (Australia), Bookabach (New Zealand) and FeWo-direkt (Germany). All of the brands have the same booking policies, which include the traveler now paying a fee (~10%) for all bookings that go through the platform. Unlike Airbnb, travelers will likely not be interacting with the owners/hosts of the property. HomeAway and its brands are great for finding rental accommodations for families or people with pets in non-urban destinations. Traditionally a European hotel player, Trivago has a surprisingly good selection of serviced apartments, vacation homes, hostels and bed and breakfasts. For ease of use, there is not a site that is easier to navigate. When Airbnb lacks inventory, this is the site to check out due to its wide breadth of inventory and ease of use. It is a site worth clicking around on before booking solely on Airbnb. To find these hotel alternatives, click on “Extra Filters” and then on “Type of lodging”. Unlike Airbnb, these accommodations don’t have hosts. A newer player, Homestay is a direct competitor with Airbnb and Couchsurfing. They focus exclusively on hosted housing e.g. where the host is present. This is very similar to Airbnb though they tend more towards Couchsurfing in that the pricing is very low and it is more typically a shared room, bed or couch rather than Airbnb, which tends to be an apartment or guesthouse. Started in 2013, Dublin based Homestay seeks to create a worldwide network of homestay accommodations for both hosts and guests. If you are looking for an accommodation with a host, this is a great alternative to Airbnb. Don’t let the name fool you, Expedia owned Hotels.com is a great place to find non-hotel accommodations. In major markets, up to 30% of their inventory is serviced apartments and apartment hotels. What is great about Hotels.com is that its entire inventory is instantly bookable and they are one of the few sites to offer true discounting. You will be hard pressed to find better deals through its inventory is smaller than Trivago and Booking.com. Unlike Airbnb none of the inventory has a host present. Much like Trivago, Expedia has traditionally been all about hotels and in particular focused on US travelers. More recently, Expedia has branched out into the alternative accommodation space via its acquisition of vacation rental giant HomeAway. With this acquisition, HomeAway has added to a large inventory of serviced apartments and now even has a vacation rental tab on its homepage. Given the overall breadth of inventory and instant book-ability, Expedia is a great alternative to Airbnb. Plus it is one stop shopping for flights, cars and accommodations. Based in Singapore, Roomorama has about 80,000 properties worldwide but caters particularly well to APAC area. Unlike Airbnb, all the vacation homes and apartments are instantly bookable. This means that a user can book what they see on the site right away. When we think of sites like Airbnb, Roomorama is a contender though as shared, the inventory is significantly less and is really bested suited for traveling in Asia. An additional bonus is that they have 24/7 customer service and claim to have fully verified hosts. More traditionally a vacation rental company, Flipkey offers ~300,000 vacation homes and rooms in 11,000 cities throughout the world. Acquired by Tripadvisor in 2008, Flipkey has all the advantages of Tripadvisor reviews (largest in the vacation rental industry) with one of the largest inventories of vacation homes. Like Airbnb, every host/owner is verified to ensure that the property is real and safe for users. Flipkey offers are a variety of methods for booking including inquiries, booking requests and instant bookings. For the bookings that occur on the platform, travelers are required to pay a fee much like Airbnb. Owners are typically not present with these rentals. Thanks so much! 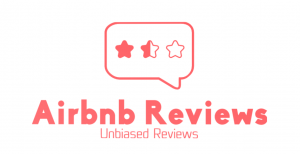 If you have a review of an Airbnb stay you would like to share, please email contact at airbnbreview.com with a full review including the date of the incident, the city, the URL of the listing and the price paid? Again, so sorry to hear about your experience. I had tje very worst host and the worst scarey experience ever with him and his group, i was phusically assalted by one of the cleaning ladies and refractured my leg because he broke all safety and health standards. They came at 8:30 and literally threw me out, i jave pictures of my leg and my ar,s and knees from being thrown out, i sent to Airbnb they have done nothing and wjen i ask how the dispite is going i get the same answer that they are working on it! Jow jard can it be its been three weeks, airbnb is terrible they totally control how you contact tjem . I SEEKED LEGAL ADVICE AND GOING TO OPEN AN ARBITRATION…. AND WILL APREAD THE WORD EVERYWHERE DO NOT USE AIRBNB GO TO VRBO. Hi Shauna, thanks for leaving us this comment. Can you email us at contact at airbnbreview.com with a full review including the date of the incident, the city, the URL of the listing and the price paid? Again, so sorry to hear about your experience. As a host who lists on Airbnb and several other sites, I’ll say we used to get our best guests through Airbnb. But this year we’ve seen Homeaway taking a bigger share, and more Airbnb guests arriving clueless because they didn’t even read the listing. And no site other than Airbnb allows hosts to warn other hosts of idiot guests who cause problems & damage the property. Our worst hosting experiences were with Booking.com, and we no longer use the site. Guests were just looking for a hotel style stay, nothing cozy or tailored. In addition, Booking.com failed to collect all the credit card data for some of our guests who cancelled at the last minute, leaving us with nothing for a busy holiday weekend. BTW, Roomorama is already dead, ceasing operation in 2017. Based on a survey of our hundreds of users, Flipkey might as well close, as less than 1 in 20 had even heard of it, and none had used it. When looking for AirBnb alternatives most people tend to ignore local companies that provide similar sort of services. The advantage with local companies is that they have a deep understanding of the country and can provide your ground support in that country. For example in Sri Lanka where I’m from more and more people are using YohoBed for their holiday bookings. They usually have more properties listed and have some minimum guarantees like WiFi etc. Hi! Thank you for so many useful tips! When traveling I often book apartments with Airbnb, and recommend it to all travelers. Actually, I even created a website with a detailed service description and working promo codes. On my website you can find translated information about the service in all languages of the world (I found translators for lots of them and keep working on it). Please don’t delete my comment, let people around the world get to know about Airbnb! Airbnb lately had very horrific reviews unlike booking, expedia, hotels, agoda etc. I prefer to stick with above ones. I would advise everyone to NEVER BOOK WITH HOMEAWAY! They have a mandatory deposit policy and don’t require home owners to justify their reasons for keeping the deposit. I recently rented a home with homeaway for a weekend getaway in La Jolla and I got scammed my $500 deposit even though I have not destroyed anything in the house.. I spent a total of 3 hours calling the customer service on different dates and they were not helpful at all. The customer service representative told us “The guy literally said: we’re not like Airbnb. We don’t serve customers” and said that they will not help us get our $500 back. Bottom line: if you don’t want to be charge an extra couple hundred dollars book with airbnb. I have rented from both, had customer complaints on both platforms and airbnb always made sure I got what I paid for. Dear AIRBNB I would be happy to report this to the press if you help me out.